Come one, Come All! Ice Skating at The Naval Base! http://emeraldevents.com/wp-content/uploads/2017/12/IMG_8744-1.jpg 2448 3264 Emeraldstaff http://emeraldevents.com/wp-content/uploads/2017/01/emerald_events_logo-1.png Emeraldstaff2017-12-02 09:00:002017-12-02 06:17:39Come one, Come All! Ice Skating at The Naval Base! Free Ice Skating in La Puente. One Night Only! http://emeraldevents.com/wp-content/uploads/2017/12/IMG_8751.jpg 1224 1632 Emeraldstaff http://emeraldevents.com/wp-content/uploads/2017/01/emerald_events_logo-1.png Emeraldstaff2017-12-01 18:00:002017-12-02 06:16:12Free Ice Skating in La Puente. One Night Only! The Auto Club NHRA Drag Racing is in Pomona, California this Weekend. Sunday is the last day so mark your calendar for November 9-12, 2017. Feel free to bring the kids because Emerald Events will be there! While Dad is watching drag racing, mom can take the kids over to Emerald Events attractions. 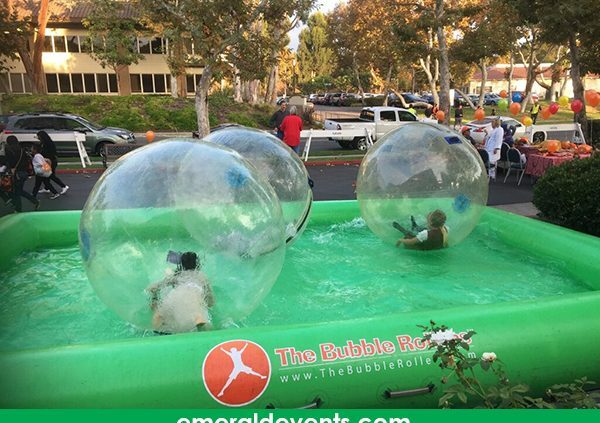 Emerald Events will be providing the Radical Run Obstacle Course and the amazing Bubble Rollers! 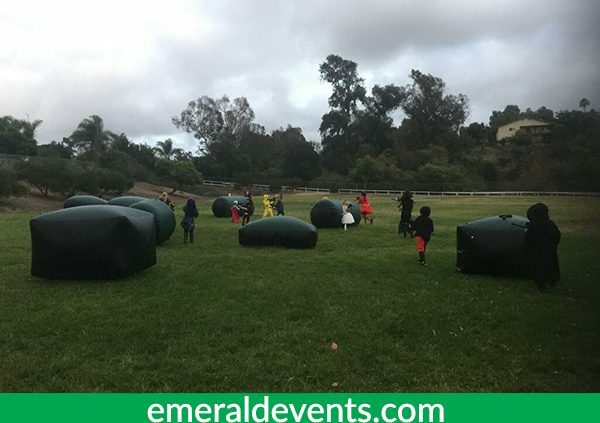 Looking for a venue to throw kids party in Southern California? The Calvary Chapel Carnival takes off with Emerald Events party rentals this week. Kids entered the large inflatable balls. Once safely secured in these giant hamster balls, the excitement began! Kids were tossing, turning and bashing balls up against their opponents having a ball! What a day! As the children played throughout the day, parents stood alongside the pools edge to get a quick snapshot of their loved ones. 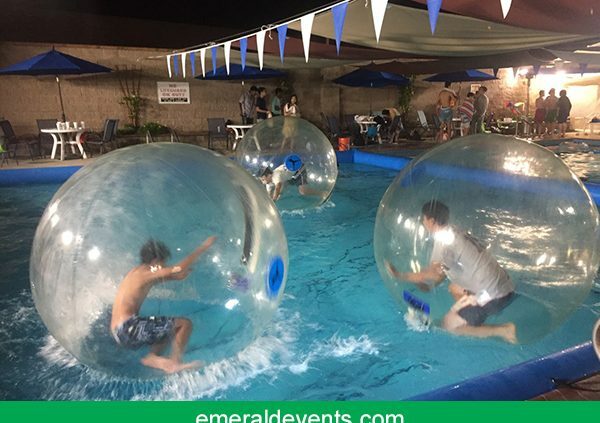 If looking for a way to liven up any church event, Emerald Events is the way to go! We supply the best kids attractions in Southern California! Rose Bowl Aquatics rents foam party and the kids gear up for a soapy surprise! That’s right! 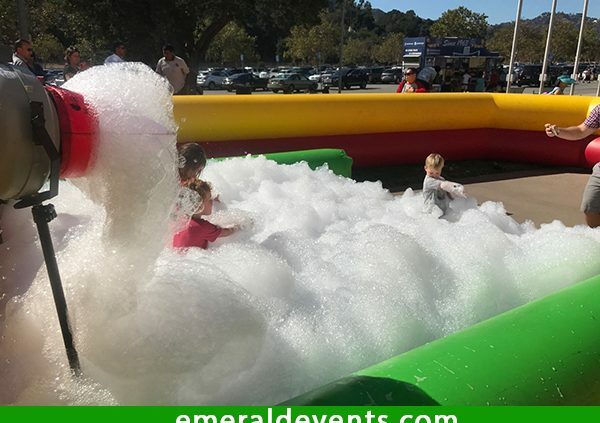 Emerald Events arrived with a large bubble machine full of bubbles and foam for all the wonderful children in Pasadena! Yay! Boy, were they surprised! A large group of children were covered in bubbles from the bottom of their feet to the top of their tiny, adorable heads. There were times a few of them totally disappeared then resurfaced as they popped their tiny little heads out from the large pool full of foam. The kids cheered “Hip, Hip. Hoorah!” to Rose Bowl Aquatics for renting the foam party machine! They sure know how to light up a kids day! Who Rents Foam Party Rentals? We do! The City of Hidden Hills enjoys kids party rentals. Especially, when it’s “The Bubble Rollers”. Emerald Events supplies the best in kids party rentals. 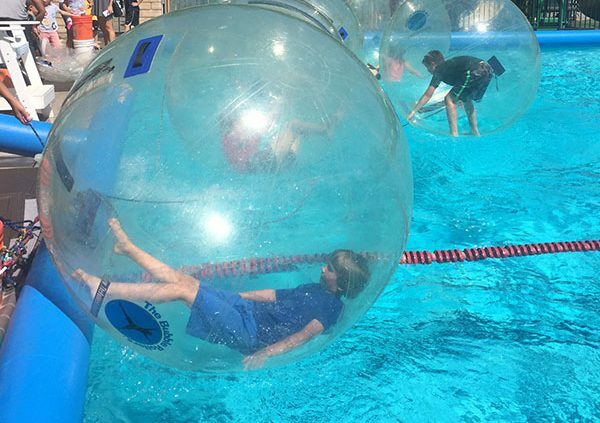 Eight Bubble Rollers were placed inside the pool for the kids enjoyment. The kids raced to see who could get to the other side at the fastest speed. Others, just lounged around in the large plastic bubbles. Just a wonderful day in the sun! Awesome family fun! Rent a set of Bubble Rollers today!